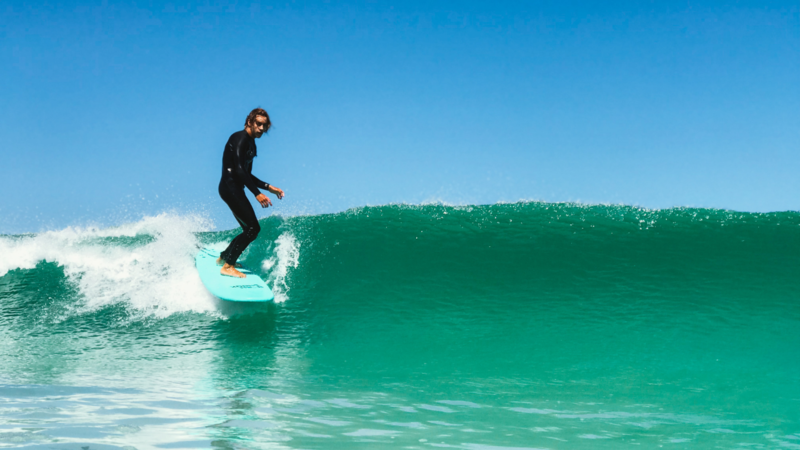 BOOKING NOTE: You have booked a "Surf Course" with Perth Go Surf, which means we have the pleasure of teaching you again. Please fill out this form to request each of your remaining surfing lessons. The same link will be sent to you via email after you book. Please keep the link handy so you can easily book each of your remaining lessons. 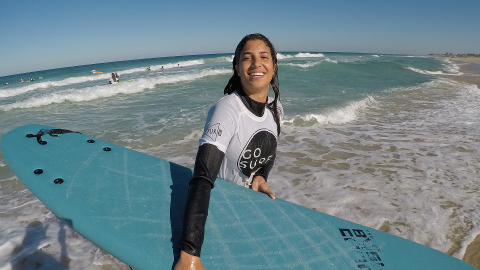 The ULTIMATE learn to surf experience in Perth. For beginners and intermediates. If you are ready to take your surfing to the next level or if you wish to ... this package is for you. Two, Three, Four or Five days of intensive surf instruction covering surfing technique, wave selection and surf etiquette. Will boost your confidence and give you the skills to surf better than you ever imagined! 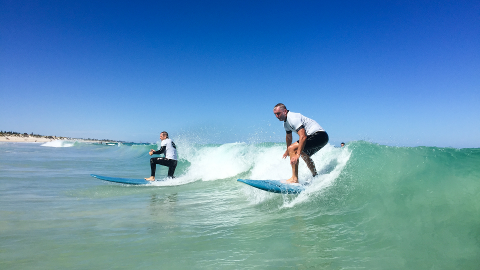 When booking the surf lesson package, we give you the flexibility to join any of the group classes on the days that suit you (pending availability). 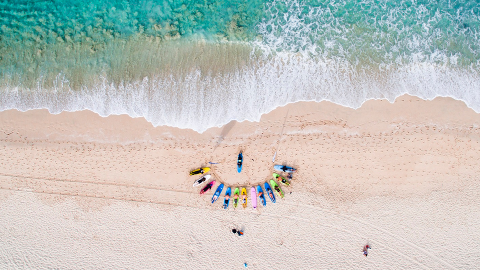 Price is inclusive of all equipment (surfboard, wetsuit & sunscreen) plus all the assistance you require from our friendly and professional surf instructors. All you need to bring is your bathers/boardshorts and a smiling face. Surfing burns calories. Get fit, have fun and stay healthy! We will have you standing on the surfboard and riding waves to shore in no time at all.